With special strands for short films, Catalan and Basque features and a retrospective on Geraldine Chaplin, the London Spanish Film Festival is certainly comprehensive. And with a line-up of films that include the brightest and best of contemporary Spanish cinema, as well as Goya winners Black Bread and Even The Rain, theres definitely something for everyone. Geraldine Chaplin’s not the only one to appear in several films, 2010 was a good year for Luis Tosar (Lope, Even The Rain and Crebinsky) and Miguel de Lira too, who appears in the short films Amistad, Padre Modelo and the feature Crebinsky. For me, the festival began with Lope, a swashbuckling extravaganza by Brazilian director Andrucha Waddington. There’s a period sheen to it that feels more like the eighties than the 1580s, but as it charts prolific Spanish playwright Félix Lope de Vega’s return from the Armada to rooftop philandering, slander and amorous flight, it’s certainly captivating. It’s got an all-star cast, and its lead trio of Alberto Ammann, Leonor Watling and Pilar López de Ayala do exceptionally well at keeping the cliched and sometimes lumpen script afloat. But it’s not until the film leaves Madrid and the ambitious dreamer flees towards the New World that the film really starts to take off. The New World was a recurrent theme, featuring heavily in both Bolivian-set films Blackthorn and Tambien La Lluvia. Starring Eduardo Noriega as a Spanish mine engineer Eduardo Apodaca and Sam Shepard as an ageing Butch Cassidy, Blackthorn revisits the question of Cassidy and Sundance’s death at a Bolivian stand-off in 1908, and conjures up for them an itinerant life in South America with mutual lover Etta. And with the beautiful Magaly Solier (of La Teta Asustada) the native American in Blackthorn is sacrosanct. Cassidy may vegetate in hiding, fighting a forgotten cat-and-mouse war with drunken and desperate Sheriff Mackinley, played by Stephen Rea, but his love of the aborigine is in marked contrast to the arrogance of the conquistador. And it’s to Noriega’s credit that he can manage his character’s change on a dime from wet Sundance substitute to villainous exploiter – far better than the turn from Spanish to English. And its cinematography is breathtaking, most especially the white and blue of the salt plains chase. Like Blackthorn, Tambien La Lluvia is filled with the lush greens of the Bolivian rainforest, but with its contemporary subject of the ethics of film-making, Icíar Bollaín’s film couldn’t be more different. A mix of digital footage depicting a Truffautian joie de cinema inter spliced with rushes of a Fitzcarraldo style film about Dominican friar Bartolomé de las Casas, one of the first advocates for human rights, and his intercession to Christopher Columbus on behalf of the natives, Tambien La Lluvia wears its liberal credentials on its sleeve. Only to rip them down again as director Sebastián, played by Gael García Bernal, turns a blind eye to the breadline $2 a day the extras get paid (“We’re on a very tight budget”) or their indians who speak Quechua rather than Taíno. The film they’re shooting may be anti-Conquistador, but their attitude isn’t. And as the locals’ demonstrations against privatising the water supply begin to conflict with the rigorous demands of the film shoot, the neo-colonialist hypocrisy becomes all too apparent. It’s a fascinating polemic, taken up in part by the documentary Todos Vos Sodes Capitans, a rather dry look at decentralising filmmaking in Tangiers when a group of kids take to the streets with a camera under their teacher’s supervision. Whether it’s a vanity project for him or valuable learning for the children remains unresolved as Oliver Laxe disappears behind camera, but shot in elegant black and white on 16mm, there’s something very New Wave about it, as if Antoine Doinel and René had been given a a camera and a ticket to Morocco instead. Of the Catalan films, Pa Negre, with its anti-fascist politics, shines brightest. But Ventura Pons’ and Ramon Térmens’ portmanteau films Mil Cretins and Catalunya Uber Alles give politics in the present – conservative, intolerant and racist. 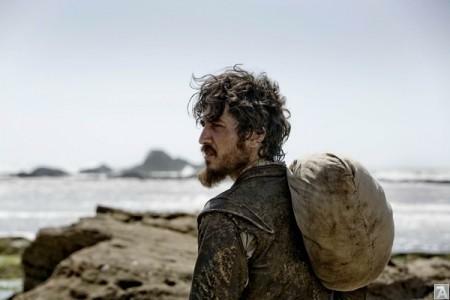 Based on the bestselling novel by Emili Teixidor, Agustí Villaronga’s Pa Negre’s plot is thicket-dense leaving viewers reeling slightly as to what just happened. It’s a stylish thriller as a naive boy learns about the cruelty of adults and family lies, but at its heart lies a very dark, and never quite explained, homosexual secret. Pa Negre is fascinatingly rich and the performances are fantastic, but Andreu’s amorous fascination with the consumptive boy and his inability to forgive his family for their part in the cover-up of Pitorliua’s murder are almost denied by the film, sacrificing its story of the homophobic lawlessness of the Franco years for the thrill of a whodunit. It’s an argument that can be levelled against Nacidas Para Sufrir too. The charming tale of an elderly woman who marries her home-help to prevent her nieces whisking her into a nursing home, the film toys with its homosexual undercurrent. At great pains to deny the sexuality in their relationship, or extol the innocence of Purita caught in the same bed with her brother’s wife, Nacidas Para Sufrir achieves a certain modern charm as the couple who married once for expediency decide to marry again, for love. Women continue to suffer in Philippe Le Guay’s French comedy Les femmes du 6ème étage and Paco Cabezas’ Carne De Neón, either fleeing Franco’s Spain to work as maids in Paris, or trafficked into prostitution by street-smart Ricky. Carne De Neón is a stylish roller coaster of a comedy, but with characters introduced and forgotten, and all-too-familar style tics, it feels like an amalgam of other heist and gangster movies. And with only baby-faced Ricky teetering on this side of morality, there aren’t many characters to root for. There’s lots more too, like Alex de la Iglesia’s Basque extravaganza Balada Triste de Trompeta or Carlos Saura’s Geraldine Chaplin filled Ana Y Los Lobos, Jonás Trueba’s Todas Las Canciones Hablan De Mi or the quirky Crebinsky, with its cow-loving Russian brothers. And while it may not be the best year in Spanish cinema, there’s a lot less substance here than style, it still makes for a very enjoyable trip.